Welcome to our second quarter. Many of you have renewed and our anxiously awaiting our trainings this quarter. So am I 🙂 Don’t forget to preregister with Charmin for all training classes. They are the 3rd Thursday of the month. The website has all of your neighborhoods and school districts listed for your openings. Please take a look at it and notify me if there are any changes needed. 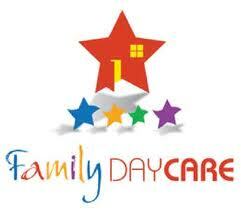 At the same time, let me know of your child care openings, phone number or email changes. Here is some helpful information about the Maryland EXCELS branch: Maryland EXCELS (Excellence Counts in Early Learning and School-age Child Care) is a voluntary Tiered Quality Rating and Improvement System that recognizes the accomplishments of early childhood and “school-age only” programs and providers through a set of standards with 5 levels that offer a pathway to high-quality. Maryland EXCELS provides information to families on choosing high-quality child care and education programs and articulates to the public the level of quality in early and school-age only child care and education programs. More than 30 states have developed quality rating and improvement systems and most states are in some phase of development.